Travelling is in everyone's blood. Most of us are already filling up planners with go-to places. We love to travel every now and then. It is the most rewarding thing we can think of after an exhausting day at work. We travel to discover new places or break from our usual routine of life. It is something that we should be able to do at least once in our lives. 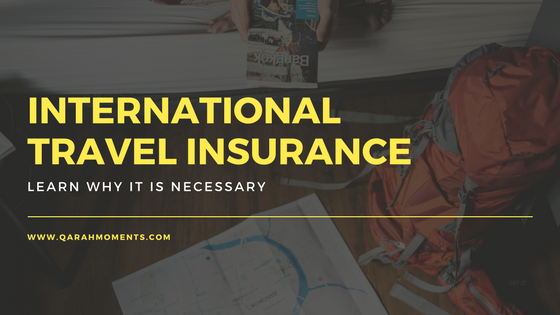 When planning for travel arrangements it is also important to take into consideration getting an International Travel Insurance. Most of us underestimate this because it is usually implied as something not necessary for traveling. But the reality is, there are travel situations that might occur beyond our control where travel insurance is utterly necessary. They say that insurance is as essential as a passport for international travel. You’ll never know what will happen while you are on travel and travel insurance can do so much more for you. Accidents, most of the time are unpredictable. Travel Master provides coverage for accidental death, dismemberment, or disablement and accidental burial benefit. Although we do not wish these things to happen while we are on travel, these may occur to anyone. Illnesses or injuries requiring immediate medical attention abroad can be very costly. When travelling, you often do not have immediate access to resources to pay for the appropriate treatment right away. Travel Master provides coverage for the medical treatment you might need. Coverage also extends to follow-up care, as well as the daily incidental expenses involved in hospital confinement. In the event, an accident occurs that results in bodily injury or property damage that you are held legally responsible for, Travel Master shoulders these risks so you can continue to enjoy your trip. Do you need to cancel a trip? The Emergency Trip Termination feature will get you covered. Emergency Trip Cancellation feature shall reimburse the non-refundable portion of travel and accommodation expense if the trip has been canceled within 30 days prior to the scheduled departure. If you do not have the right insurance protection, traveling can be quite a fuss. Travel Master offers benefits for loss of travel documents, loss of baggage, baggage delay, loss of cash, damage to laptop and flight delay as a result of severe weather, mechanical trouble, strikes, and even skyjacking, to keep you smiling despite such unexpected events. But wait, there's more! Travel Master also provides free insurance coverage for damage to rented cars, as well as medical treatment and assistance services for accidents resulting from sports activities. Travel Master isn’t just for flying, they also cover travel on ships, trains, and cars. For worry-free travels, Travel Master by Malayan Insurance has everything you’d expect out of a solid international travel insurance policy. Cut back risks with sudden events throughout your travel, and have a peace of mind. No matter what your trip involves, you can feel confident that Travel Master will have you covered, #InsuretobeSure! Insurance transactions can be done online via this link. Should you wish to speak to an agent or a broker for offline communication and transactions, you may go to your local Malayan Insurance Branch. For more details, you may visit their website, www.malayan.com. 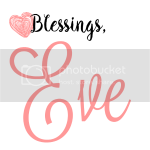 Don't forget to follow them on Facebook and Instagram.